George P. Shultz, the Republican former secretary of state, and Thomas F. Steyer, the Democratic hedge fund billionaire, are reviving the coalition that campaigned last year to defeat Proposition 23, the California ballot measure that would have derailed the state’s’ landmark global warming law. Their new organization, Californians for Clean Energy and Jobs, will push for greater investment in green technology and the enforcement of the global warming law, known as A.B. 32, according to Mr. Steyer, founder of Farallon Capital Management in San Francisco. “We’re going to be fighting to make sure it is implemented in a way that not just creates businesses here, but the jobs stay here, and we get the kind of growth that will show the country that this way of thinking is intensely practical and real world,” Mr. Steyer said on Friday at a news conference. “I hate to say we’re getting the band back together, but we’re getting the band back together,” he added. Mr. Steyer and Mr. Shultz served as co-chairmen of the “No on 23″ campaign, which drew support from Silicon Valley venture capitalists, mainstream businesses, labor unions, environmentalists and minority groups. 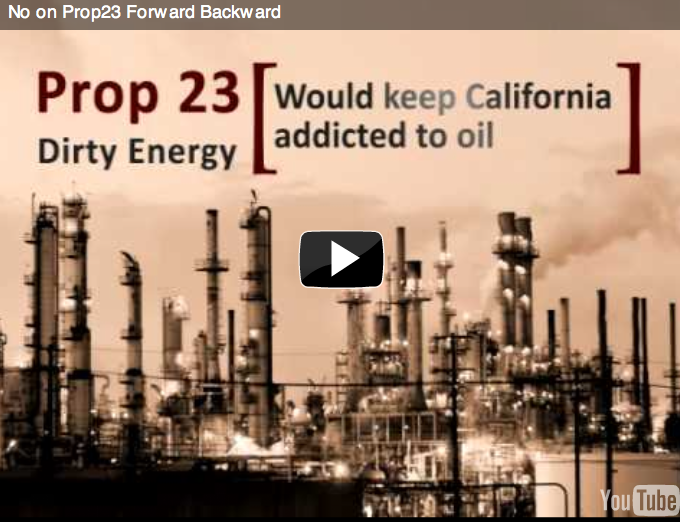 The No campaign won 61.4 percent of the vote last November to reject Proposition 23, which was largely backed by two Texas oil companies. Mr. Shultz said the new group also hopes to have an impact in Washington, but he and Mr. Steyer were vague on specific policies they would support. “The most important thing the federal government can do is to have substantial and sustained support for energy R&D – that’s what’s going to produce the game changers,” Mr. Shultz said. In a speech last week in San Francisco, Mr. Steyer laid out a national strategy to fight Republican efforts to limit the United States Environmental Protection Agency’s ability to regulate greenhouse gas emissions. But on Friday, he kept his focus on California, saying that the “No on 23″ campaign had about $1 million left in its coffers that would be used to support the new group’s efforts.